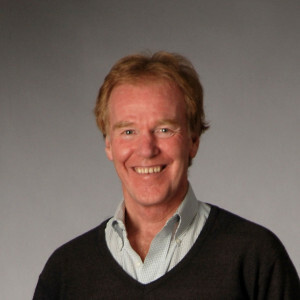 Peter M. Senge is a senior lecturer at the Massachusetts Institute of Technology. He is also founding chair of the Society for Organizational Learning (SoL), a global community of corporations, researchers, and consultants dedicated to the “interdependent development of people and their institutions.” He is the author of the widely acclaimed book, The Fifth Discipline: The Art and Practice of The Learning Organization (1990, revised edition published 2006) and, with colleagues Charlotte Roberts, Rick Ross, Bryan Smith and Art Kleiner, co-author of The Fifth Discipline Fieldbook: Strategies and Tools for Building a Learning Organization (1994) and a fieldbook The Dance of Change: The Challenges to Sustaining Momentum in Learning Organizations (March, 1999), also co-authored by George Roth. In September 2000, a fieldbook on education was published, the award winning Schools That Learn: A Fifth Discipline Fieldbook for Educators, Parents, and Everyone Who Cares About Education, co-authored with Nelda Cambron-McCabe, Timothy Lucas, Bryan Smith, Janis Dutton, and Art Kleiner. Presence: Human Purpose and the Field of the Future, co-authored with Claus Otto Scharmer, Joseph Jaworski and Betty Sue Flowers, was published in 2004. Dr. Senge’s latest book, The Necessary Revolution, co-authored with Bryan Smith, Nina Kruschwitz, Joe Laur and Sara Schley was released June, 2008. See www.solonline.org for more information. The Fifth Discipline hit a nerve deep within the business and education community by introducing the theory of learning organizations. Since its publication, more than two million copies have been sold world-wide. In 1997, Harvard Business Review identified it as one of the seminal management books of the past 75 years. There have been feature articles in Business Week, Fortune , Fast Company, Sloan Management Review and other leading business periodicals regarding the work of Dr. Senge and his colleagues at MIT and SoL. The Fifth Discipline Fieldbook (over 400,000 copies sold) was developed in response to questions from readers of The Fifth Discipline who wanted more help with tools, methods and practical experiences in developing enhanced learning capabilities within their own companies. The Dance of Change is based on more recent experiences of companies developing learning capabilities over many years, and the strategies leaders develop to deal with the many challenges this work entails. Dr. Senge has also authored many articles published in both academic journals and the business press on systems thinking in management. The Journal of Business Strategy (September/October 1999) named Dr. Senge as one of the 24 people who had the greatest influence on business strategy over the last 100 years. The Financial Times (2000) named him as one of the world’s “top management gurus.” Business Week (October 2001) rated him as one of The Top (ten) Management Gurus. In 2008, Dr. Senge was named by the Wall Street Journal among the top 20 most influential business thinkers. 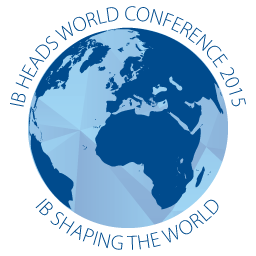 Peter Senge received a B.S. in engineering from Stanford University, an M.S. in social systems modeling and Ph.D. in management from MIT. He lives with his wife and their two children in central Massachusetts.